Page Two from nine days in SE Arizona with my friends Ed Boyd, Jim Brighton, Tom Feild, Hans Holbrook, Bob Ringler, and Jim Stasz. 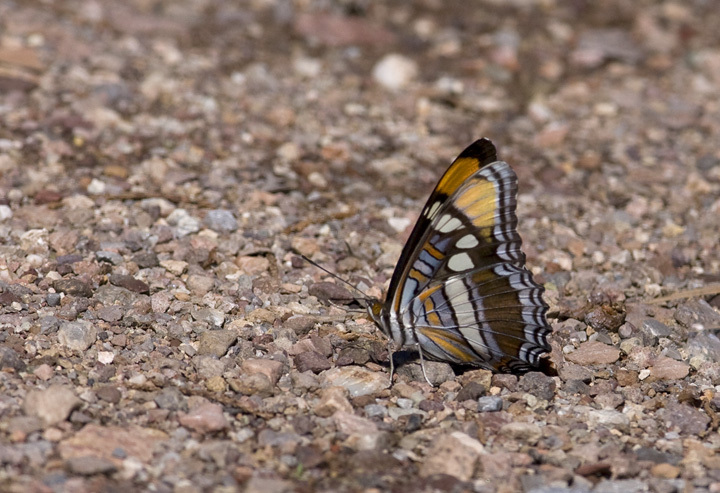 Many thanks to my traveling companions for the great company and for teaching me a lot about southwestern insects. 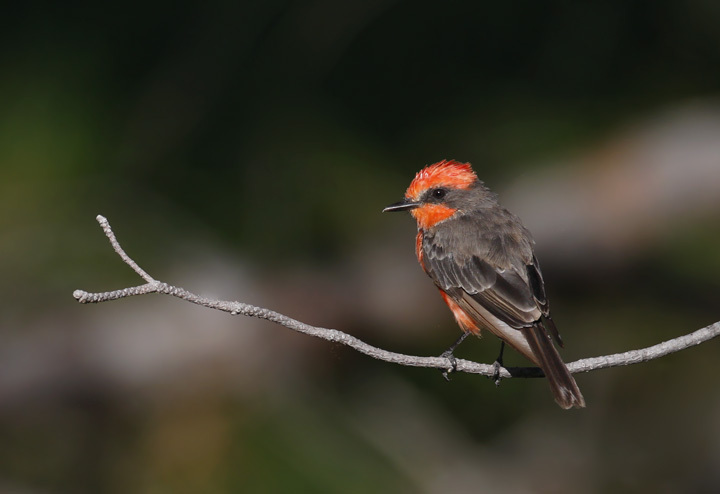 Above: A beautiful male Vermilion Flycatcher at Kino Springs, Arizona (8/4/2008). 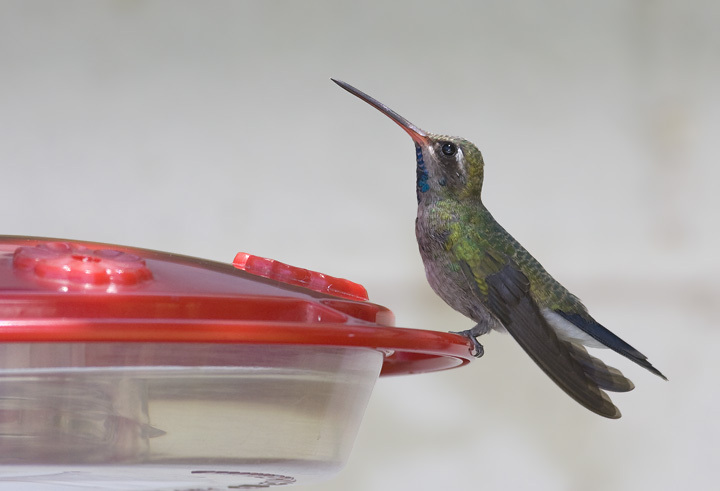 Below: An immature male Broad-billed Hummingbird at the Paton's feeders near Patagonia, Arizona (8/4/2008). 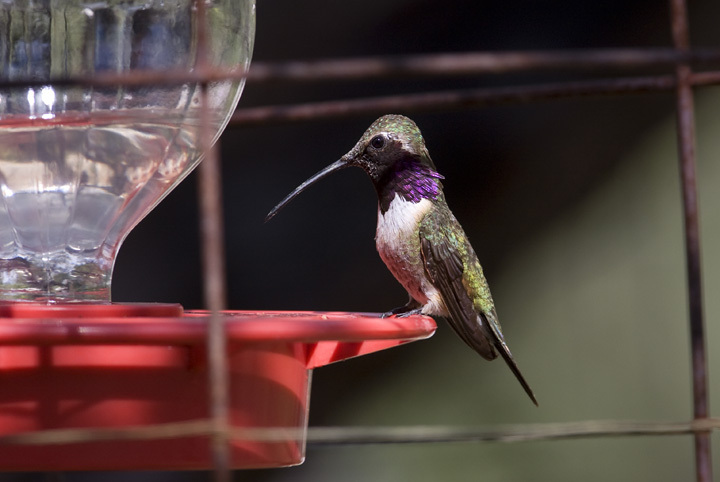 Below: An Arizona (California) Sister in Garden Canyon, Arizona (8/5/2008). 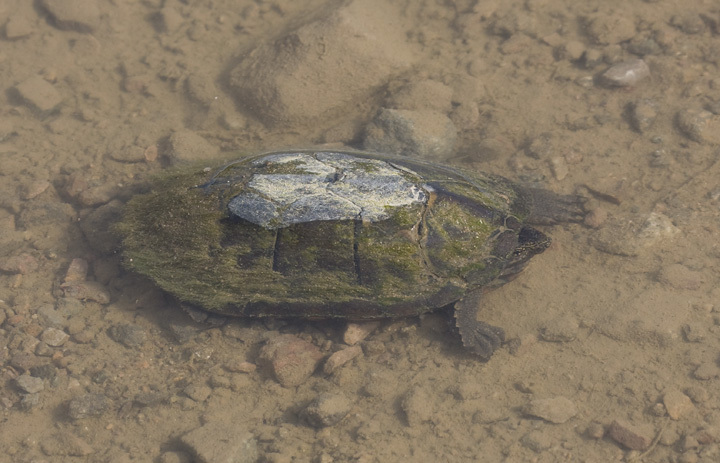 Below: A Sonoran Mud Turtle in a stream in southern Arizona (8/3/2008). 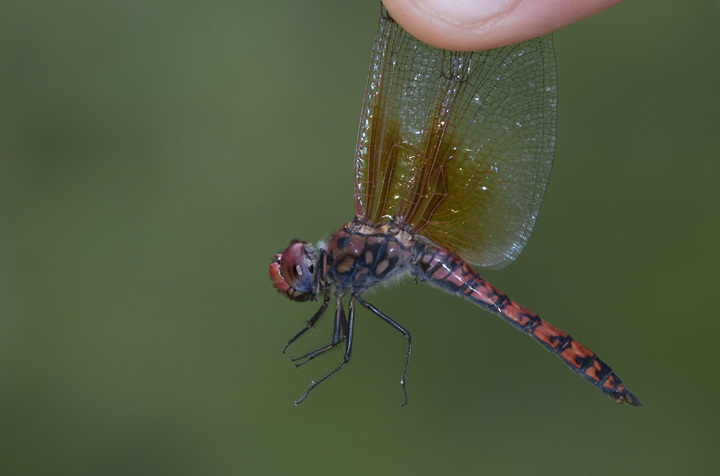 Below: A Red Rock Skimmer near Garden Canyon, Arizona (8/5/2008). 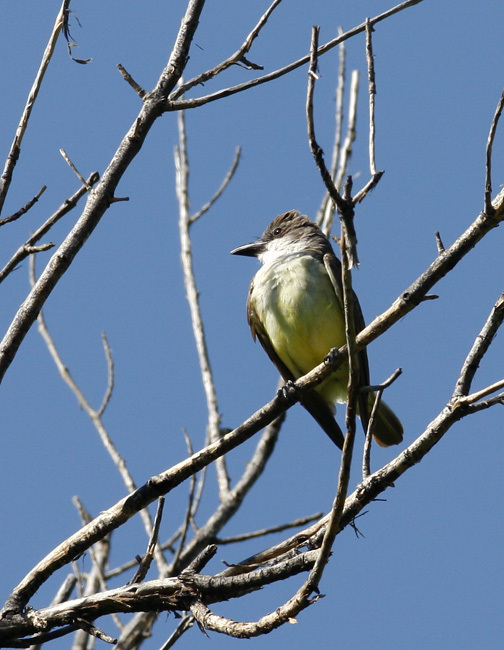 Below: A Thick-billed Kingbird hunts from the treetops near the Patagonia Rest Area, Arizona (8/4/2008). 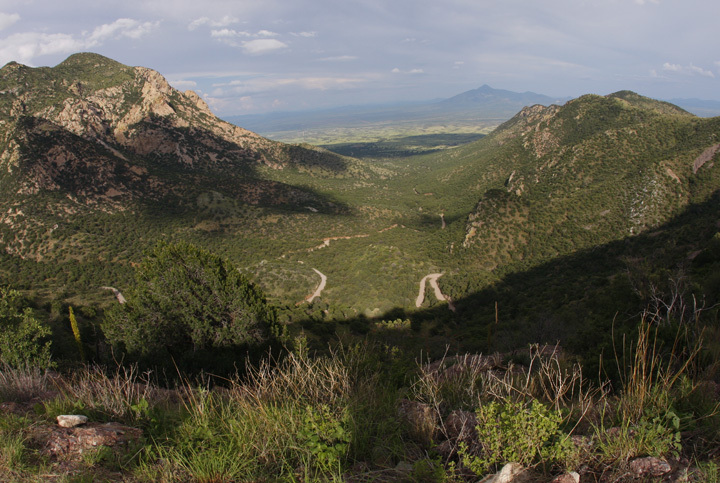 Below: Montezuma Pass through the Huachuca Mountains, Arizona (8/4/2008). 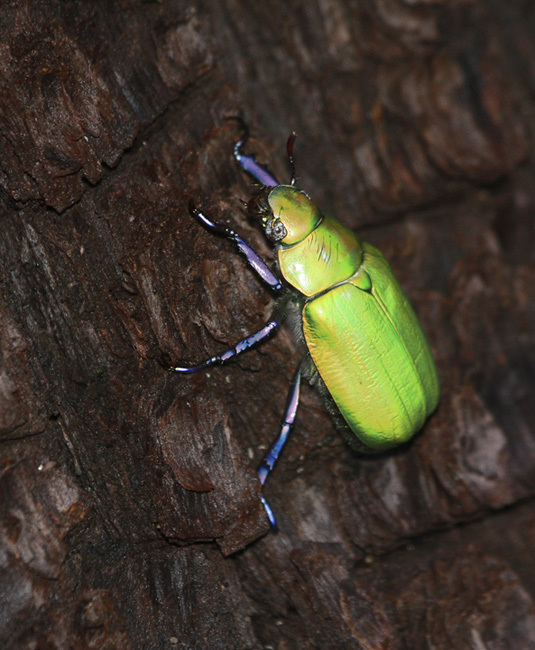 Below: Arizona has three beautiful scarab beetles in the genus Chrysina. This Chrysina beyeri is one of the most stunning beetles I've ever seen. 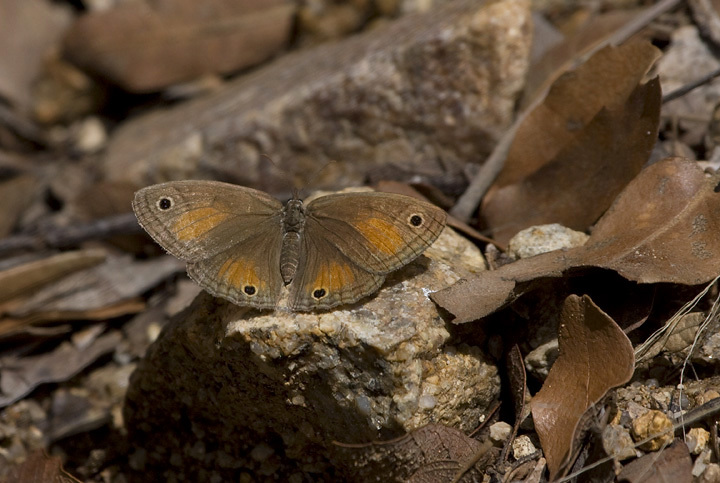 Below: A Red Satyr near Garden Canyon, Arizona (8/5/2008). Below: An Elegant Earless Lizard rests beside a bridge in southern Arizona (8/3/2008). 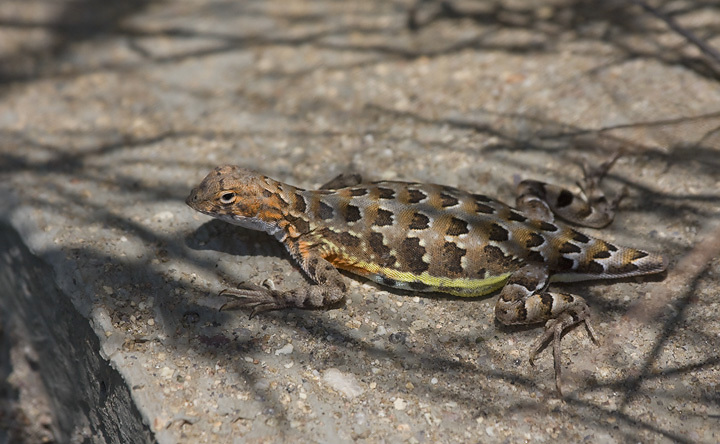 The tail shape can be attributed to the lizard losing its tail and slowly regrowing it. 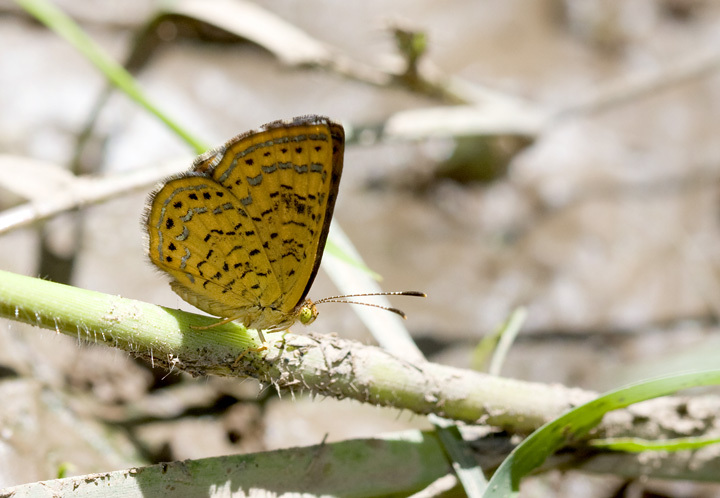 Below: An Arizona Metalmark near Patagonia Lake, Arizona (8/4/2008). 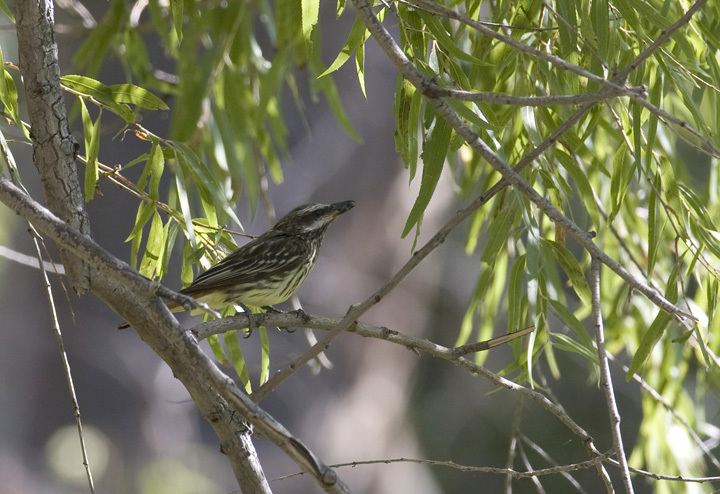 Below: A Sulfur-bellied Flycatcher snatches a fly near Garden Canyon, Arizona (8/4/2008). 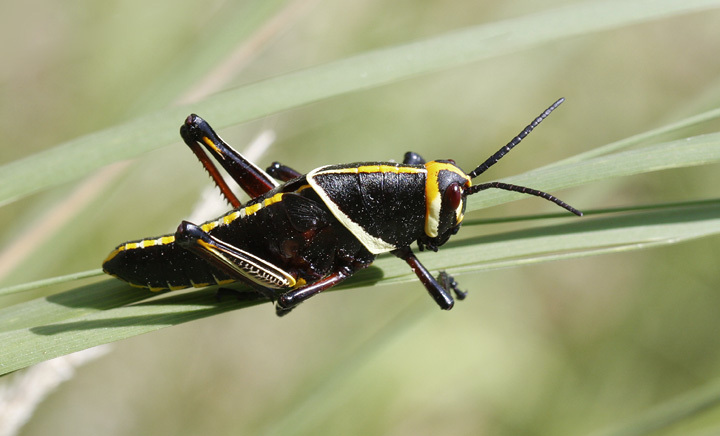 Below: Pretty much the coolest grasshopper ever, the Horse Lubber, in southern Arizona (8/3/2008). 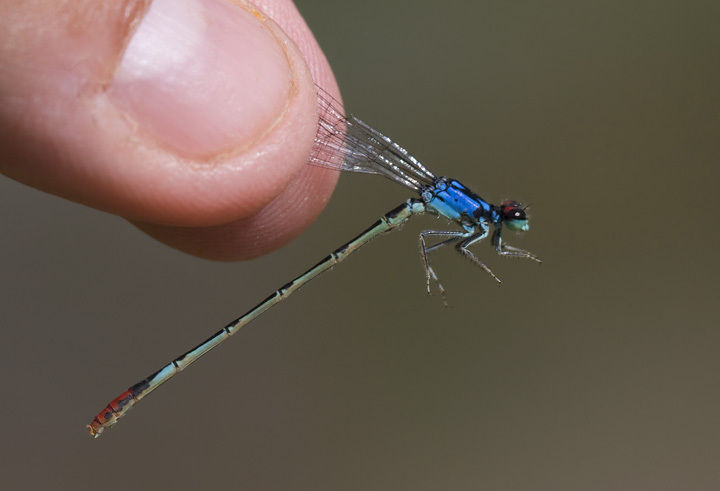 Below: Perhaps the most stunning of U.S. damselflies, the Painted Damsel. 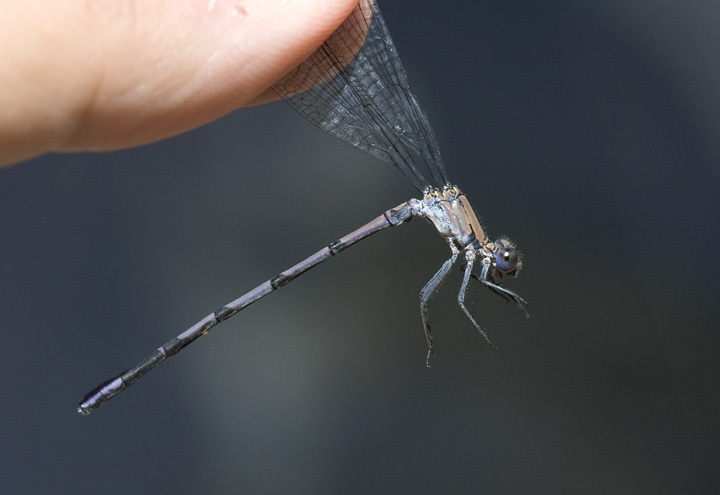 Jim Stasz practically tapdanced when he spotted this beauty in a southern Arizona stream (8/4/2008). 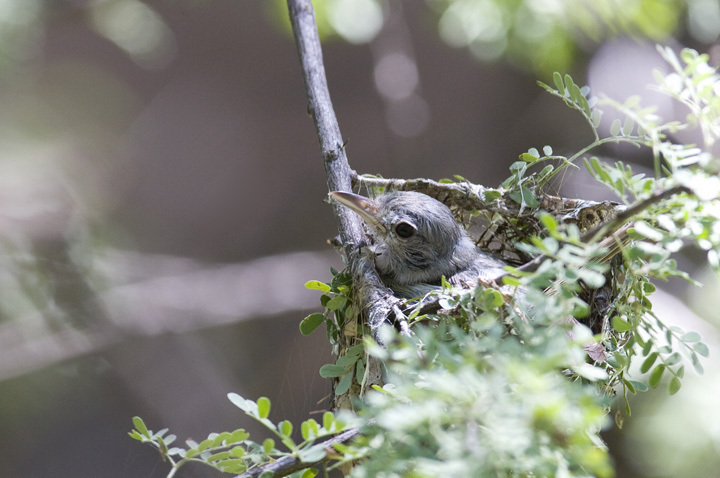 Below: A Northern Beardless Tyrannulet on nest in southern Arizona (8/4/2008). 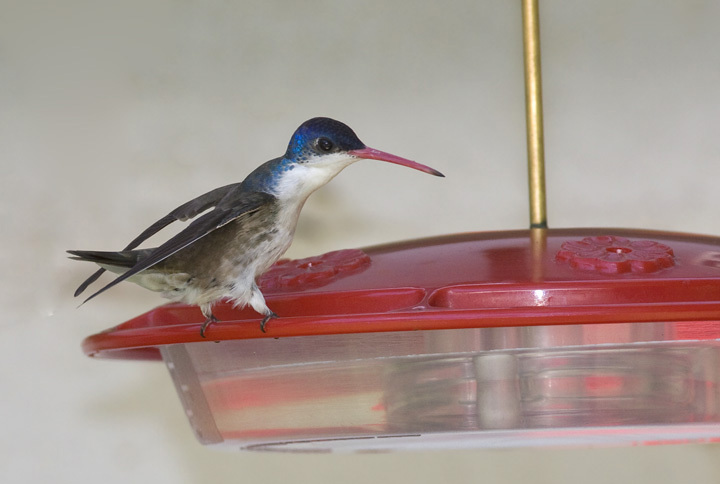 Below: A Lucifer Hummingbird visiting the Ash Canyon feeders in southern Arizona (8/5/2008). 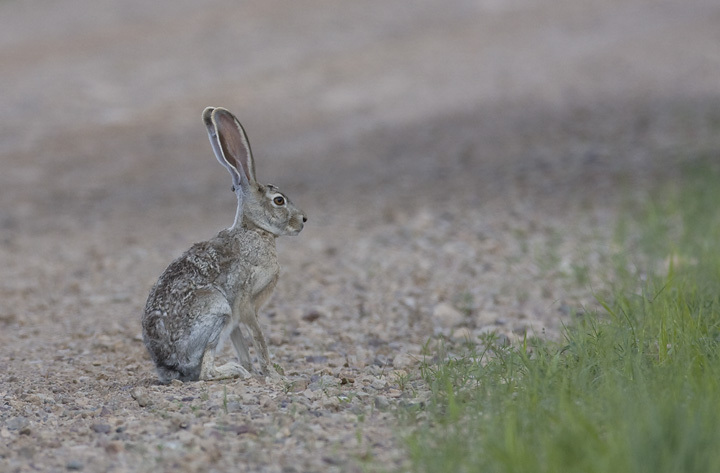 Below: A Black-tailed Jackrabbit in Parker Canyon, Arizona (8/4/2008). 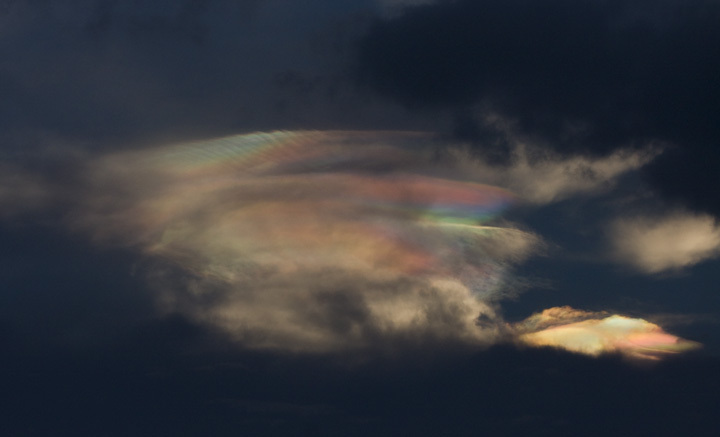 Below: An amazing meteorological phenomenon we were treated to in southernmost Arizona (8/3/2008). 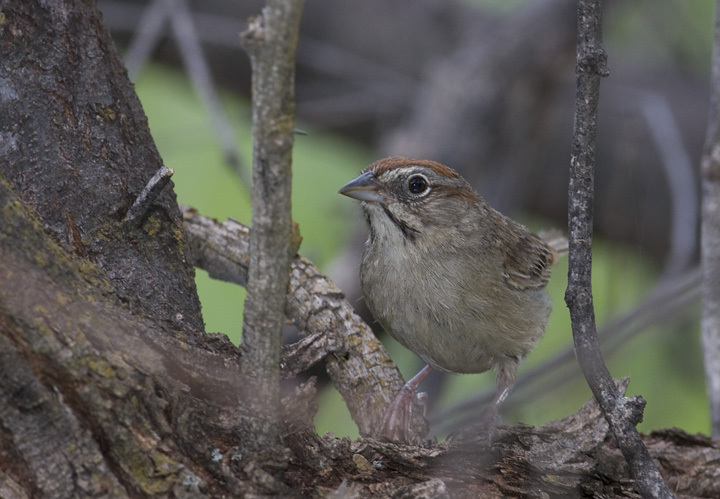 Below: A Rufous-crowned Sparrow in southernmost Arizona (8/3/2008). 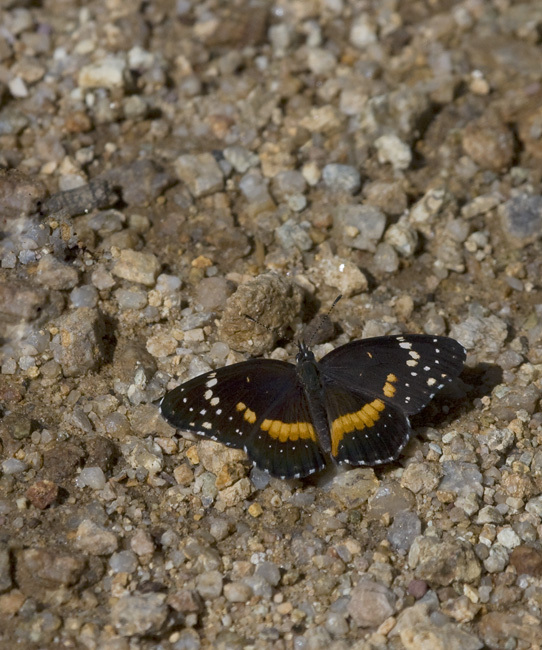 Below: A Bordered Patch in Garden Canyon, Arizona (8/4/2008). 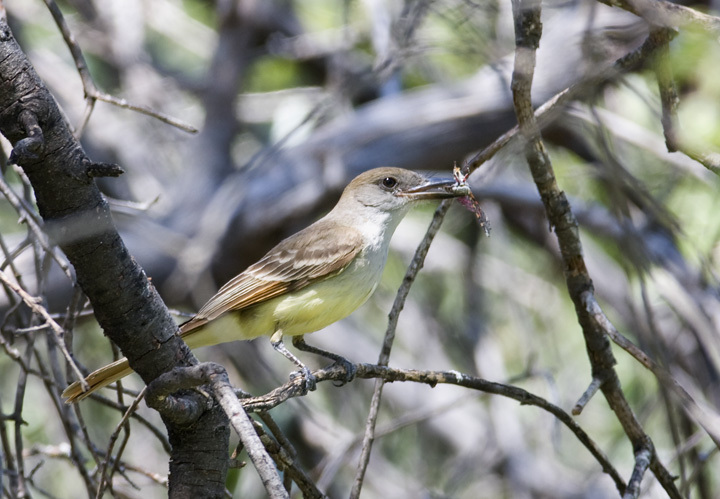 Below: A Brown-crested Flycatcher captures lunch in Madera Canyon, Arizona (8/3/2008). 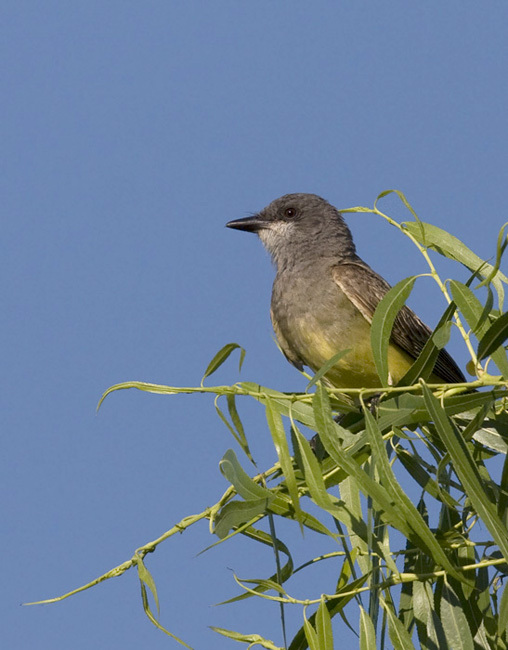 Below: A Cassin's Kingbird hunts beside a pond at Kino Springs, Arizona (8/4/2008). 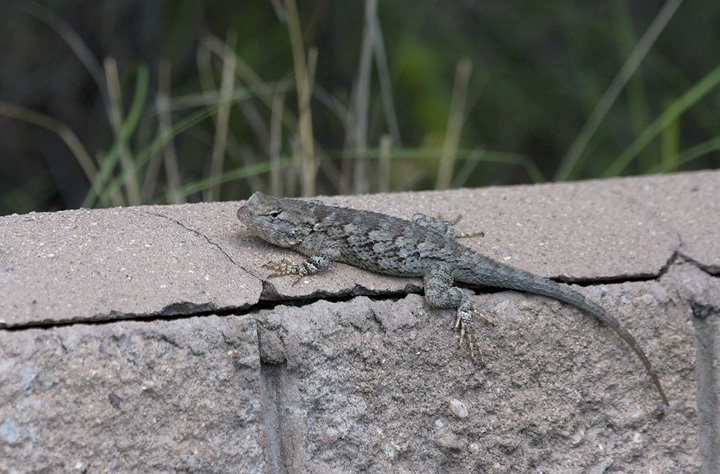 Below: A Clark's Spiny Lizard at Parker Canyon Lake, Arizona (8/4/2008). 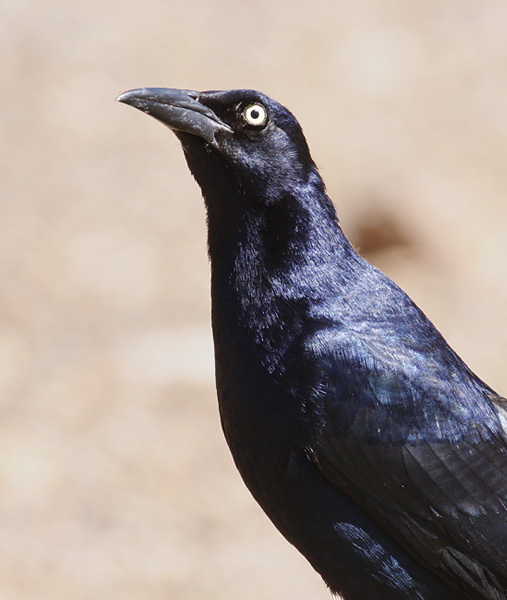 Below: A male Great-tailed Grackle in southern Arizona (8/4/2008). 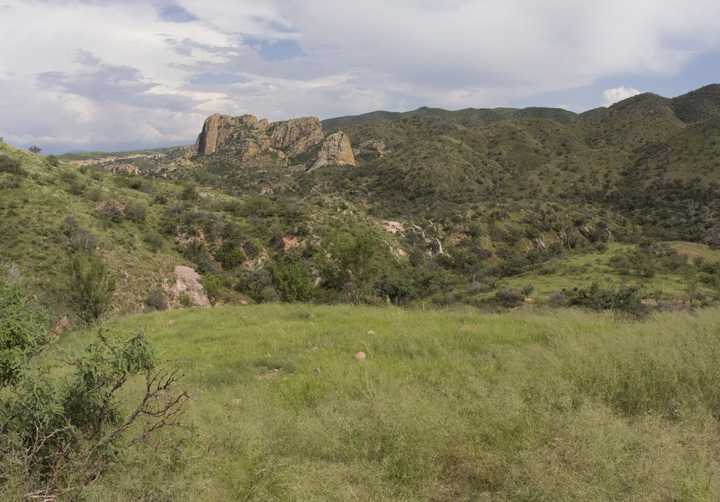 Below: A vista along Ruby Road in southern Arizona (8/3/2008). 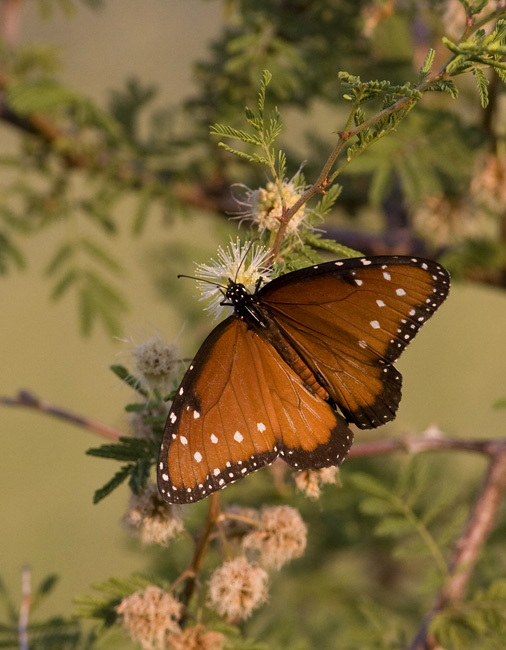 Below: A Queen, a close relative of the Monarch, near Madera Canyon, Arizona (8/3/2008). 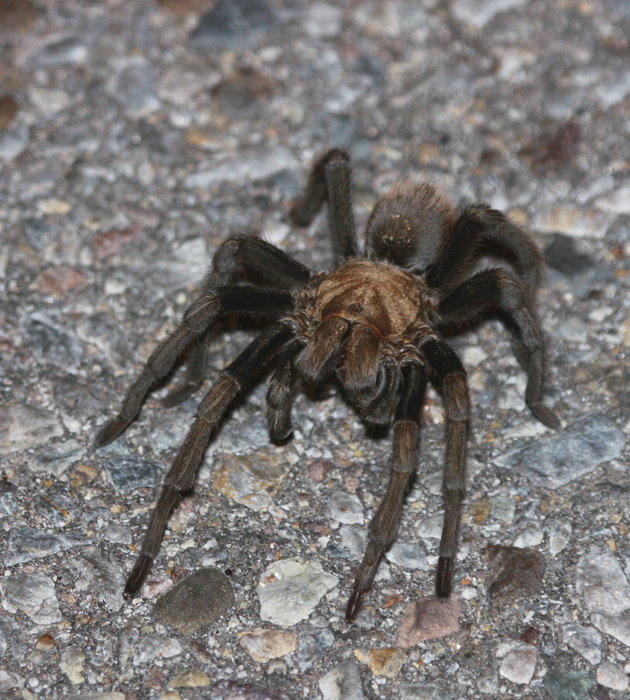 Below: A very large tarantula looking for a hug in southern Arizona (8/3/2008). 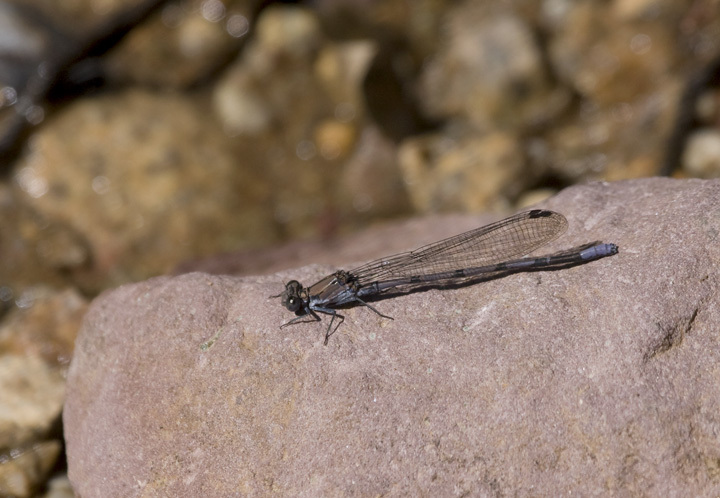 Below two: A Tonto Dancer near Garden Canyon, Arizona (8/5/2008). 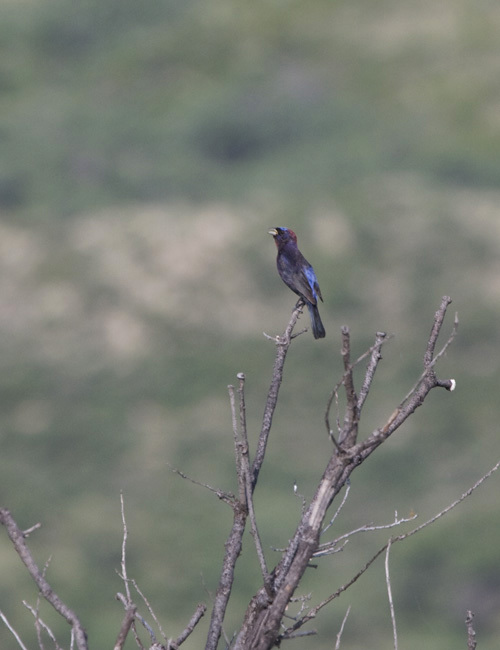 Below: A distant male Varied Bunting sings along Ruby Road, Arizona (8/3/2008). 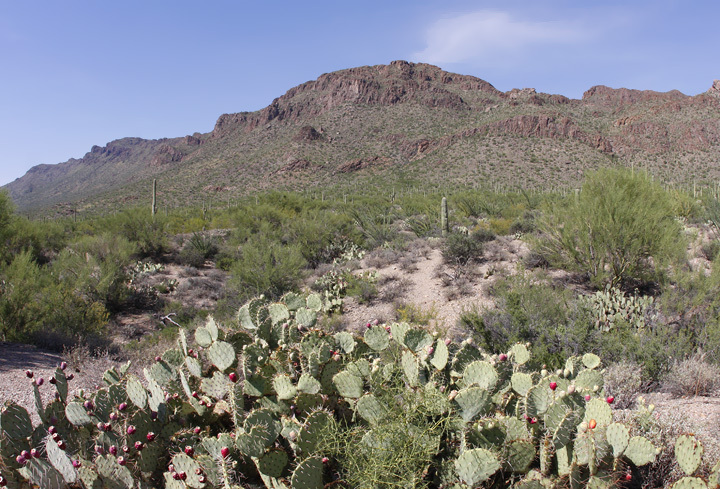 Below: A vista in Saguaro National Park, Arizona (8/2/2008). 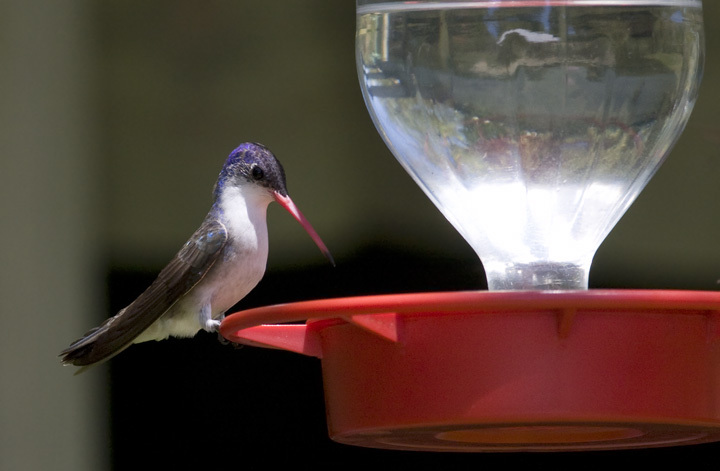 Below: A stunning Violet-crowned Hummingbird at the Paton's feeders near Patagonia, Arizona (8/4/2008).